Body and volumizing hair styling paste to give to determine. Definitive styling gives body, volume and texture to the hair, a sufficient amount of product between the hands and then rub hair to bring on style apply to moist or dry hair. ..
Roverhair Wax gel 100 ml. Was soft with shiny effect. Put the hair into an imaginative modeling. Shine to the hair, not dry her hair out. .. Liquid crystals shine hair oil is ideal for split ends and give shine to dry, dull hair. Use a few drops on the hands and distribute on dry hair ..
Magic styling powder for the highest volume! Roverhair True Celebrity Fashion Punk Pixie Dust styling powder is fantastic for fine, limp and lifeless hair Ideal for structuring and raising the volume. Application: Apply to dry hair then work with your fingertips ..
Roverhair Curl Up 150 ml. Modelling cream for curly hair, make the curls loose and soft. Roverhair True Celebrity Fashion Punk Curl Up amplifies, defines and separates your curls adding volume texture and shine. The cream help curls to form a natural shapes and detach from each at the same time gives texture. Use: Apply to dry or damp hair. 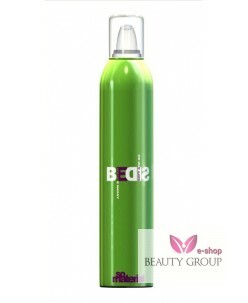 satisf..
Roverhair Hard Groove 250 ml. True Celebrity Fashion Punk Hard Groove is an styling gel with strong styling effect gives structure and form. This Roverhair True Celebrity Fashion Punk Hard Groove styling gel on your hands and then dry hair for a stronger effect on the wet hair apply ..
Roverhair Artifix Eco Lacca 100 ml. Roverhair artifix eco lacca/easy dry ultra strong ..
Roverhair Mousse Volume Maxxy 250 ml. 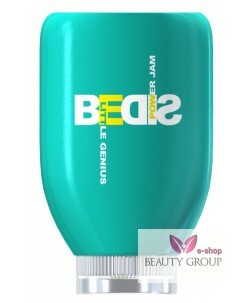 This foam provides extreme volume to fine and lifeless hair. Rice Oil and silk proteins. Soft hair with more shine. Specifically for fine, limp hair, limp hair and hair that needs support ..
Roverhair Little Genius power jam 150 ml. 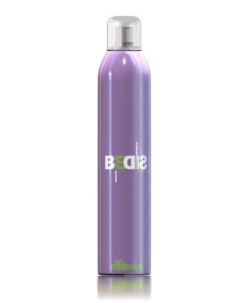 Fluid to add body and volume to hair; hear-reactive; anti-frizz with memory effect. Use: for an anti-frizz memory effect, apply to wet hair before brushing. To define style apply to dry hair. ..